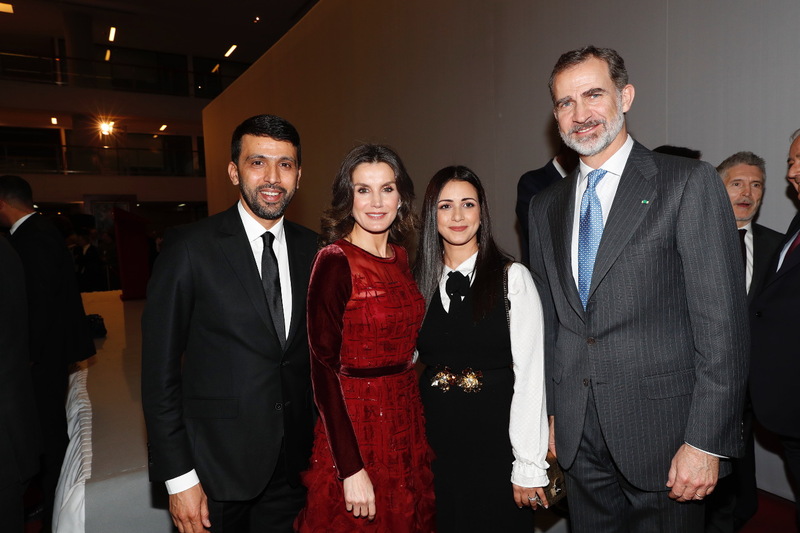 King Felipe and Queen Letizia of Spain today successfully concluded their 2 days visit to Morocco. After their morning engagements, in the afternoon Felipe attended a meeting with the Ministry of Foreign Affairs of the Kingdom of Morocco where he chaired the Morocco-Spain Economic Meeting. 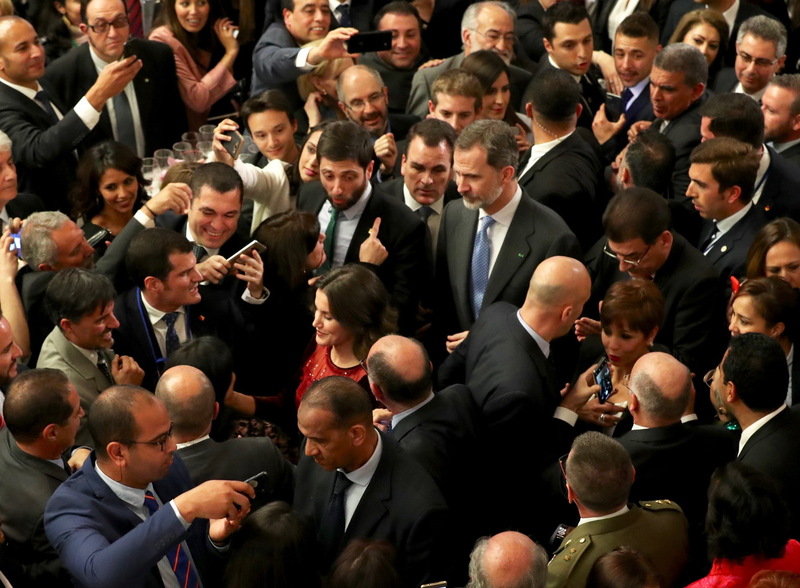 Before their return to Spain, Felipe and Letizia received an audience from the Spanish community in Morocco, at the headquarters of the National Library. Felipe and Letizia with Spanish people living in Morocco. A beautiful shot of Queen surrounded by people eager to meet them. Addressing the gathering Felipe said, “To convey the pride of Spain and the Crown to Spanish citizens like you who live outside our lands, in circumstances that are not always easy, and that promote the best image of Spain today. We reiterate our affection and admiration to all, to those who are here today, to your families and to many who are all over the country”. A video of the speech. In the evening, the royal couple departed for Madrid from the Rabat-Salé Airport where they were bid farewell with honors. I love when during the tours royal ladies do sartorial diplomacy. Today, giving a node to the host country Letizia chose a hue that depicts the flag of Morocco. Letizia chose a red dress from her another favourite label Carolina Herrera. 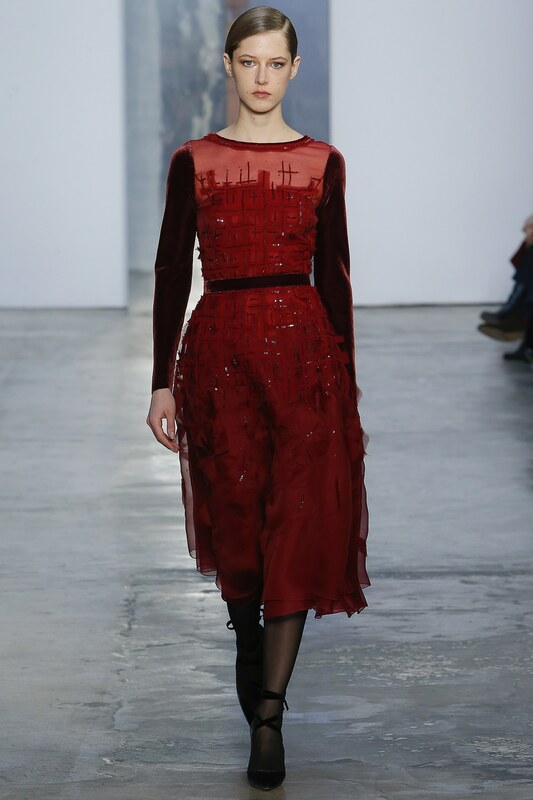 She was wearing a Midi length dress featuring round neckline and contrasting maroon velvet sleeves and waistband. The dress is embroidered with rhinestones. The dress is from label’s 2017 Ready-to-wear Autumn Winter collection. Huge thanks to dear Nuria on Twitter for the id. 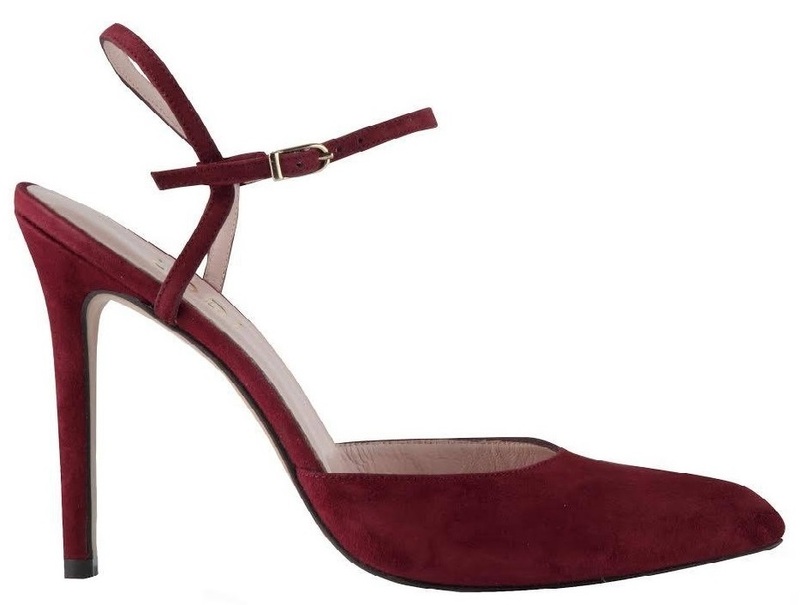 Letizia paired the dress with her burgundy Lodi Debra pumps with ankle straps that she has in wardrobe for long time and finished the look with diamond earrings belonging to her Mother-in-Law Queen Sofia. Today, Letizia premiered a new handbag. 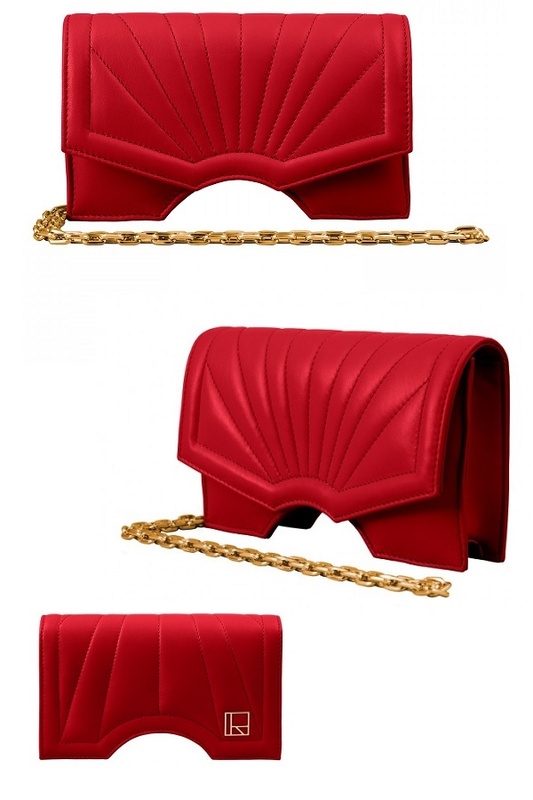 It is a red Archy clutch from Asturias based Spanish label Reliquiae. The €525.00 clutch crafted from soft bovine leather features removable gold metallic chain and comes in 5 different hues.